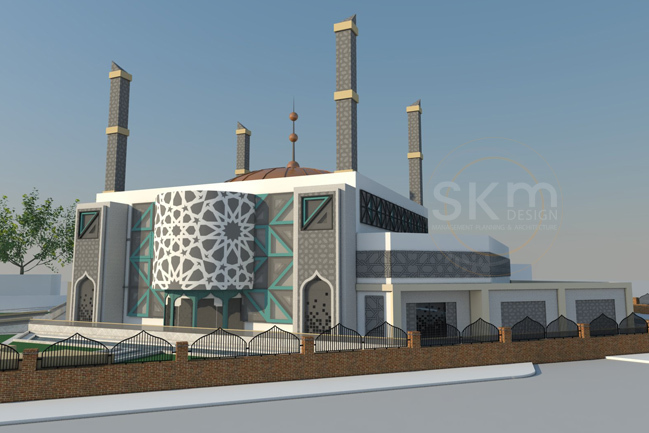 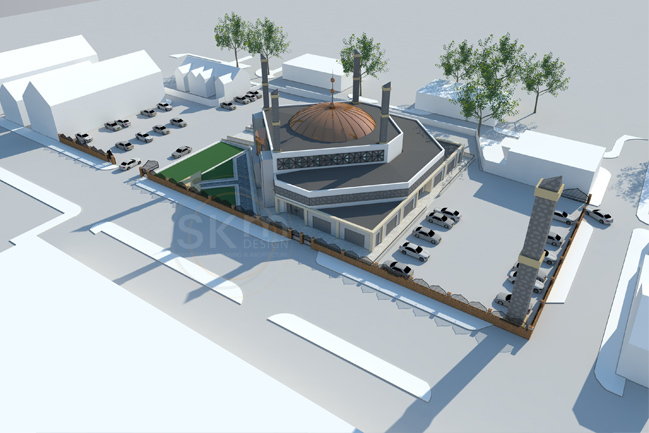 A contemporary yet traditional design for a brand new mosque and madrasah complex on a spacious site in Lancashire. 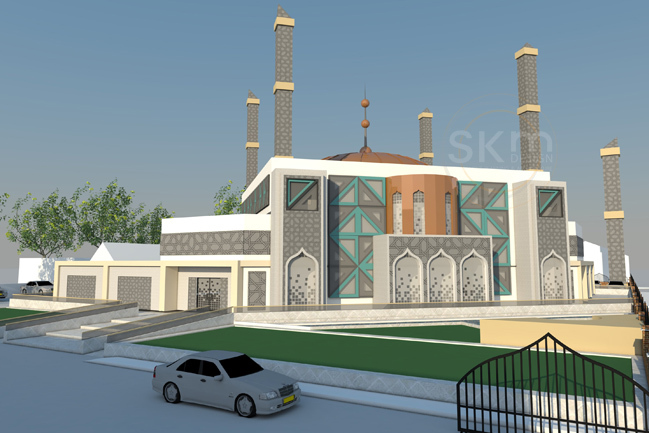 Orientated in the direction of Mecca, the layout provides an opportunity to emphasise the angles created by the position of the building on the site. 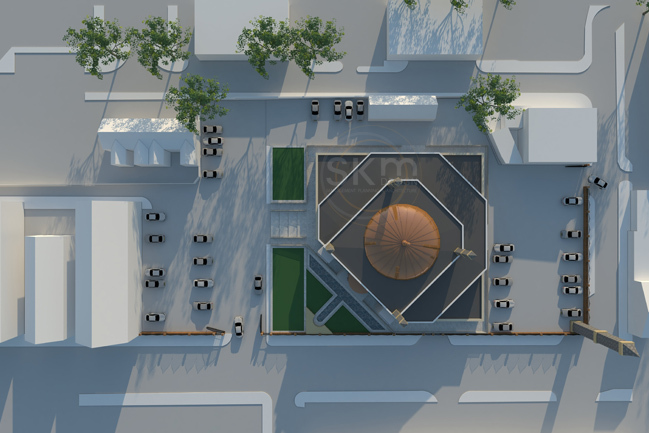 This is demonstrated in the landscaping as well as the geometric shapes on the walls of the building.